Home › List of pheasants › List of flamingos › List of Indian grebes. 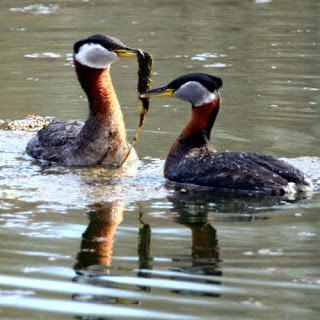 Grebes belong to the family Podicipedidae of order Podicipediformes. Podicipedidae is the only family under this order and it consists of six extant genera. Of the 22 species of these birds only five species occur in India. 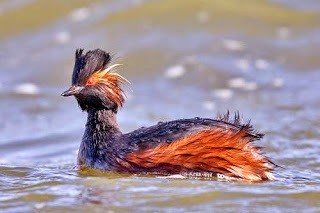 They are freshwater diving birds. During migration these birds may visit sea. They are excellent divers and swimmers. 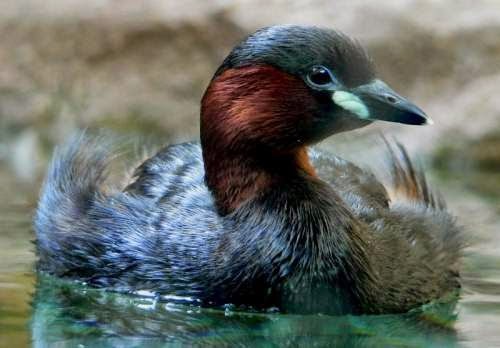 When threatened these birds try to escape by diving rather than flying. Two American species are flightless. These birds feed on fish, crustaceans, molluscs and insects. Their feet are large and have broad lobes on the toes. The front three toes connected by web. They have dense waterproof plumage. They can swim on the water with just the neck and head exposed. During breeding season, they develop ornate breeding plumage and have elaborate display rituals. When preening, they are seen feeding on their own feathers. 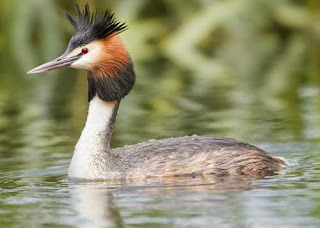 The habitat of these avians include small and shallow ponds, wetlands, small lakes and canals. They are seen breeding in small colonies in the heavily vegetated areas of freshwater wetlands, lakes and ponds. For image attribution and licence terms please navigate to individual posts. Current topic in Birds of India: List of Indian Grebes (Podicipedidae) with pictures.